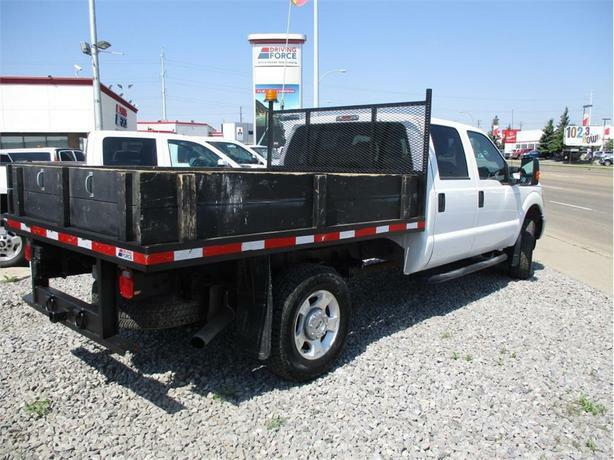 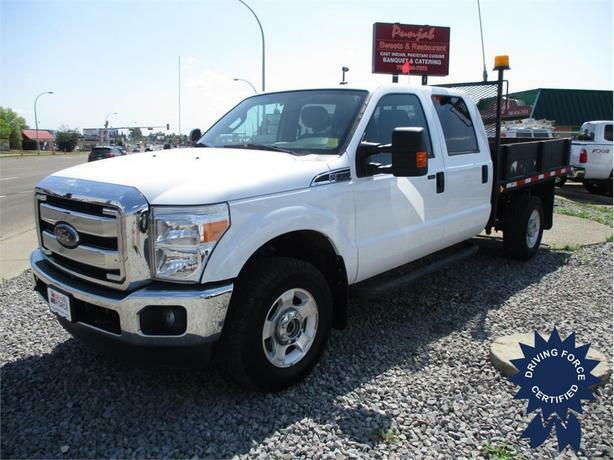 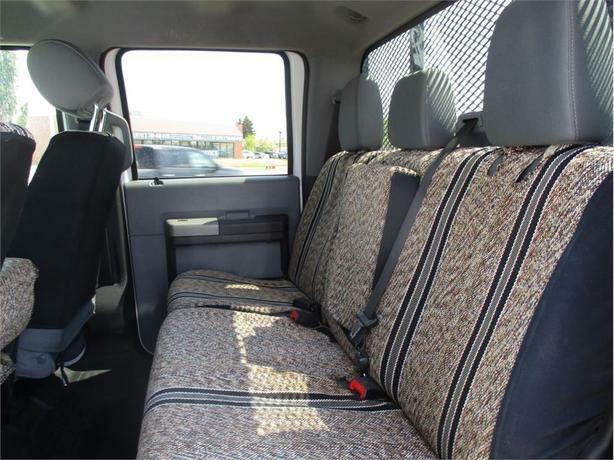 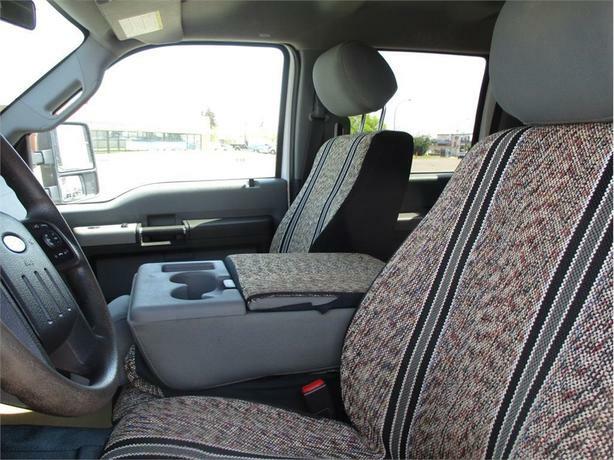 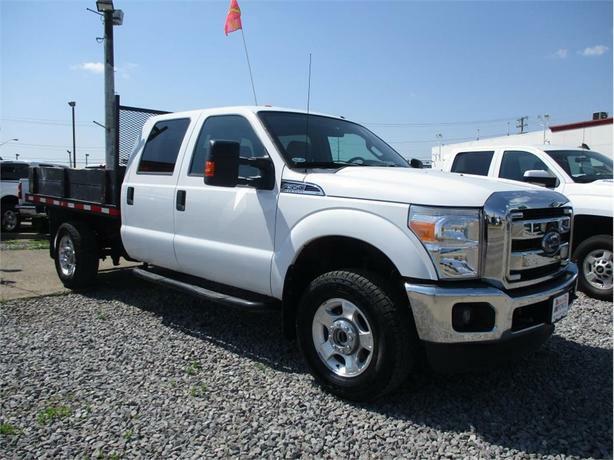 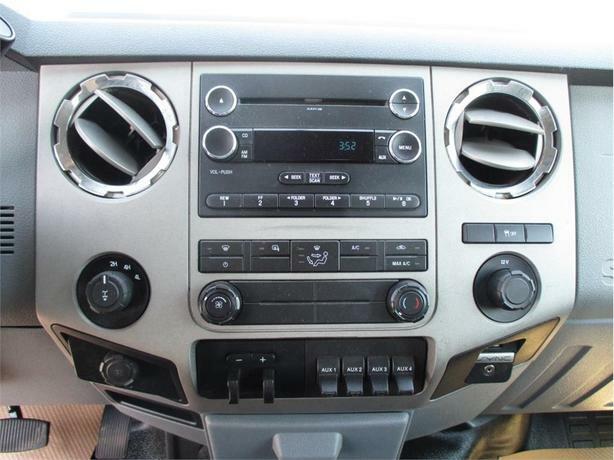 This 2015 Ford F-350 Super Duty comes with a crew cab, seating for up to six people, 172-inch wheelbase, 18-inch wheels, fog lamps, reverse sensing system, part-time four-wheel drive, block heater, electronic-locking with 3.73 axle ratio, hydraulic power-assist steering, auto locking hubs, HD shock absorbers, firm suspension, 132.5-litre fuel tank, TorqShift 6-speed automatic transmission with over-drive including SelectShift and tow/haul mode, fixed rear window, deep tinted glass, cargo lamp with high mount stop light, perimeter/approach lights, manual/tilt telescoping steering column, manual air-conditioning, power door locks, four 12V DC power outlets, low tire pressure warning system, and two seatback storage pockets. 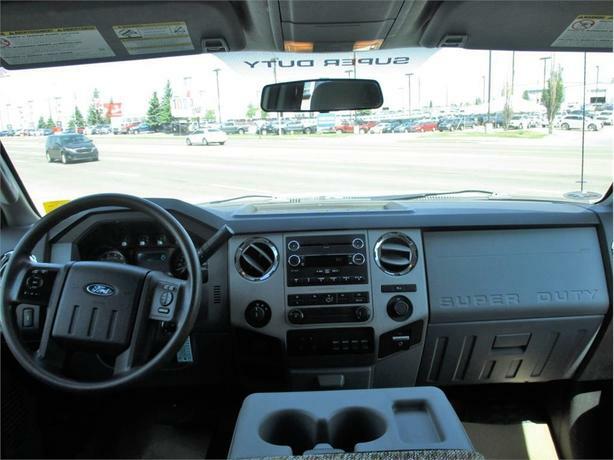 The 6.2-litre V8 gas engine provides 316 horsepower and 397 lb-ft of torque. 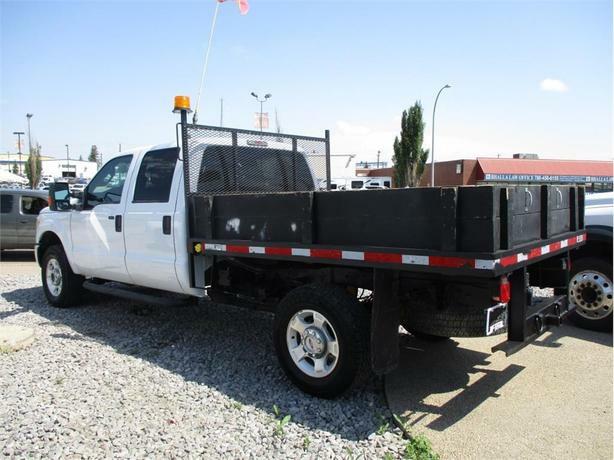 The GVWR rating is 11,200 lbs (5,080 kgs).